Norton Core is a secure wireless router that protects your connected home network, while delivering the highest level of security and performance. Norton Core comes with a one-year complimentary subscription to Norton Core Security Plus that helps protect your home network and your connected devices, including computers and mobile devices against malware, viruses, and hackers. And the Norton Core mobile app includes comprehensive parental controls. By offering an unmatched combination of performance and protection, Norton helps you get the most out of your connected home and your online experience. Technologies such as deep packet inspection and intrusion prevention identify vulnerabilities and protect your home at the network level. A security score that shows how protected your home network really is. Secure DNS lookups that are powered with Norton ConnectSafe DNS. A built-in crypto-core processor that ensures data encryption for all user data and communications. Discovers and recognizes your smart devices automatically. Defends against viruses, spyware, malware and other online threats. Any detected threat is quarantined automatically. Protects all your smart (IoT) devices and connections. Safeguards your personal information when you perform online transactions. Time management: Limit the time that a network user or device can be online. Content filtering: Set custom content limits based on age range to keep your family and devices safe. Usage insights: Monitor bandwidth used, screen time, and browsing history of any user on the network. Create separate guest network for your guests. Know the real-time upload and download speeds of your network. Each wireless device in your home may represent a vulnerability that hackers can exploit. Norton Core constantly monitors your connected devices for suspicious activity. If a device becomes compromised, Norton Core quarantines the threat before it spreads. 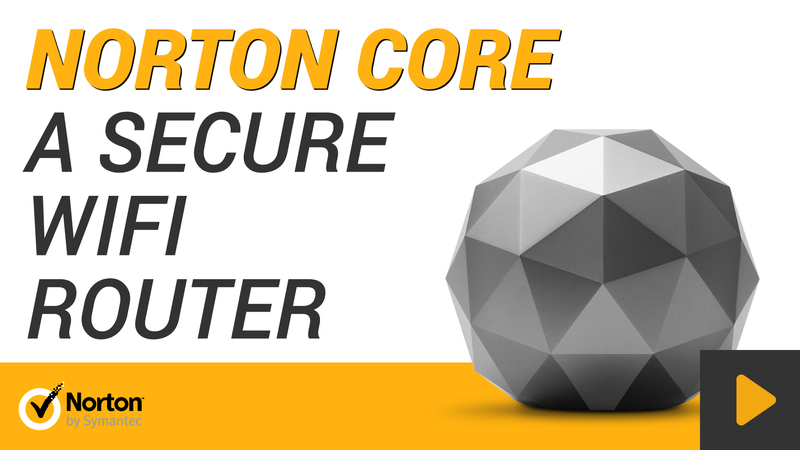 Norton Core is available only in the U.S. and Australia.